Reflecting on the tumultuous phase that gripped Indian cricket during last year's Champions Trophy, VVS Laxman said the episode left a "bitter taste in the mouth". BCCI’s Cricket Advisory Committee member and batting legend VVS Laxman Friday said the panel wanted Anil Kumble to continue as India’s coach but the former captain was bent on quitting after his fallout with skipper Virat Kohli last year. Reflecting on the tumultuous phase that gripped Indian cricket during last year’s Champions Trophy, Laxman said the episode left a “bitter taste in the mouth”. “I don’t think Kohli crossed the line. We at the CAC thought Anil should continue as coach but he thought the right decision was to quit and move ahead. It left a bitter taste in the mouth,” Laxman said at the ‘India Today South Conclave’ here. 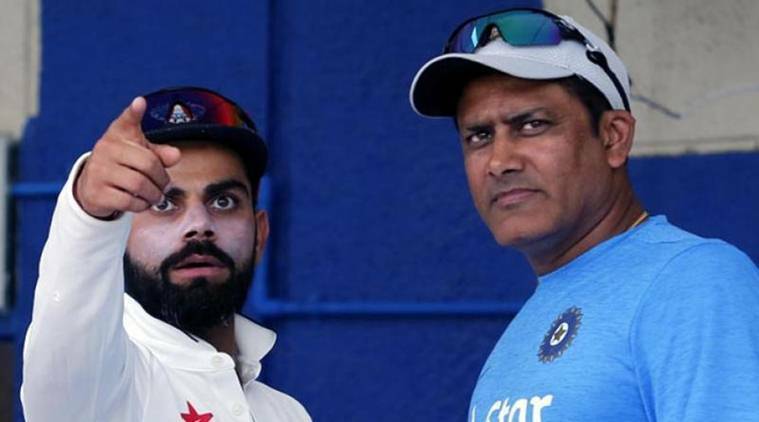 However, the appointment didn’t quite work out as Kumble and Kohli’s difference of opinions spiralled into a full-blown public fallout which culminated into Kumble stepping down. “What I did not like was the way he was getting bad press during the Champions Trophy. The CAC wanted Anil to continue and the entire episode was very unfortunate, Laxman said. “I always tell people CAC are not marriage counsellors. We were tasked with selecting the best possible job. We did a very elaborate process – unfortunately, Virat Kohli and Anil Kumble did not work out,” he added.